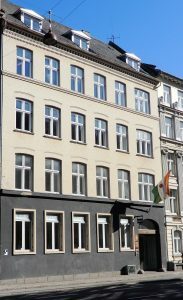 The Embassy of the Republic of Niger to the Nordic countries with residence in Copenhagen is pleased to welcome you to its website. The target group for this website are all those in the Nordic countries who, out of curiosity, business or tourism, need information and a better knowledge of Niger. This site gives an overview of the political, the economic and social aspects, the investment opportunities as well as the cultural wonders that Niger offers. Thanks to its many links, you can access real-time news and activities of the country’s institutions. The Embassy of the Republic of Niger makes itself available to those wishing to visit or to develop contacts and activities in Niger. Hoping that this site will meet your expectations, the Embassy wishes you a wonderful visit and will welcome feedback from you. Please note that the website is presently under construction. The annual intergovernmental consultations took place in Niamey on September 13th, 2018, where the review of the progress of the implementation of the new Danish Country Program for Niger covering the period 2017-2022 has been made. December 18th 2018 Celebration of the National Day The 60th anniversary of the proclamation of the Republic of Niger has been held this year in Zinder. . The National Day is celebrated in a touring way in the various regional capitals and is the opportunity to benefit the regional capitals of urban infrastructures investments. .